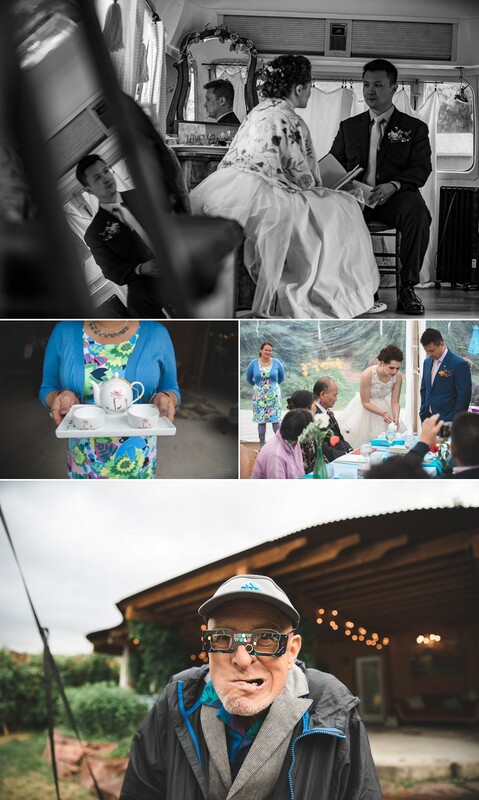 Everything about Janette + Maolin, their love, and their wedding day, had a story to share. 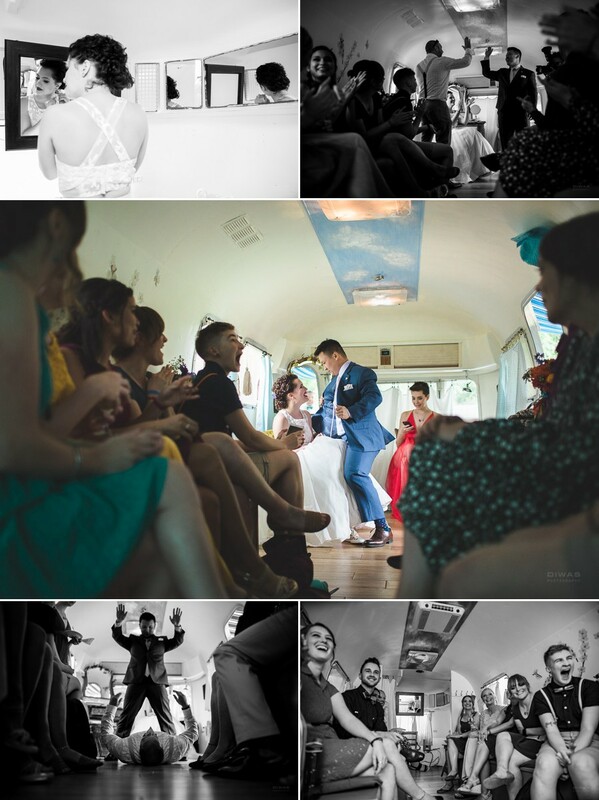 Their story is deeply rooted in love, in openness, in inclusivity, in culture, justice…. and more. 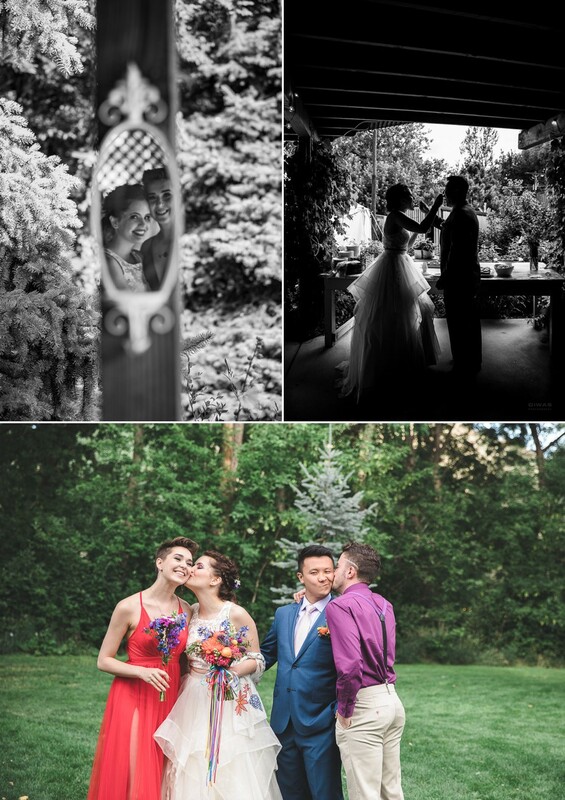 Their marriage was a celebration of love and very needed reminder of all the good things that can occur when love wins. They both set intentions of bringing together people with the purpose of helping the world do better and be better. 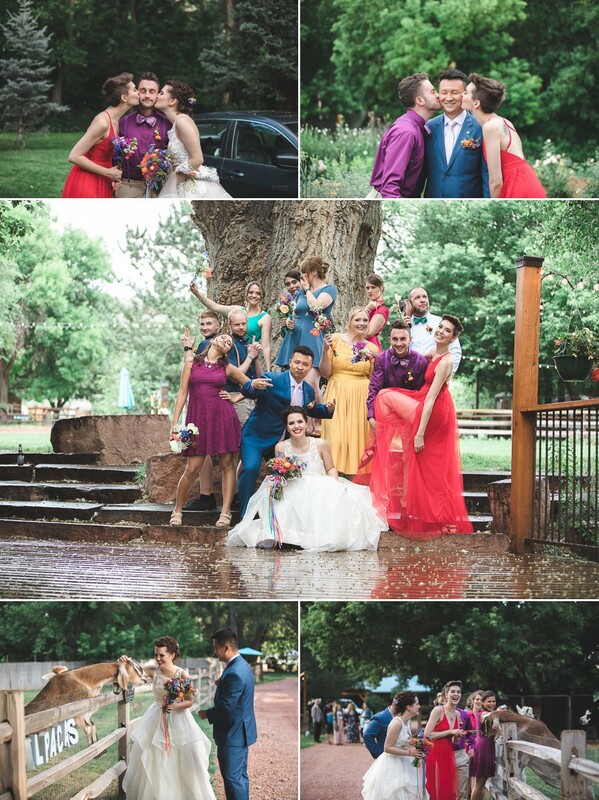 They created space to be married that honored their passion for doing good things together, in nature at The Lyons Farmette in Lyons, CO. They gathered family, friends, alpacas, chickens and goats and their community of artists, childhood friends, buddies in learning, travel, laughter, art and love. Magical. 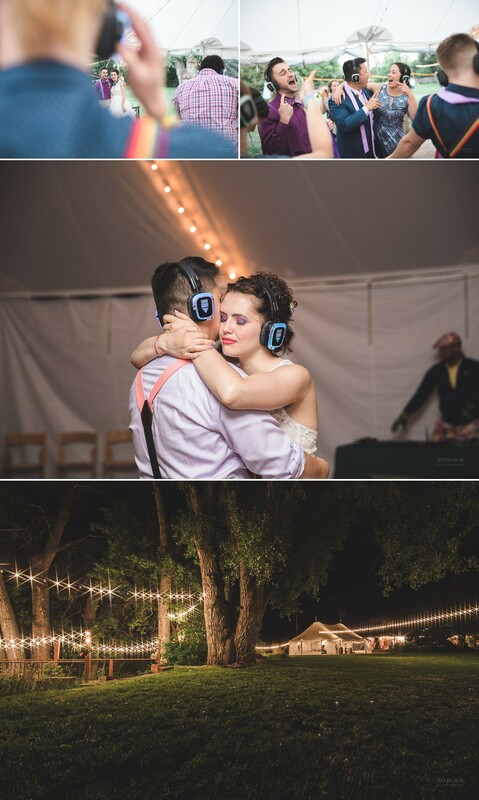 Janette + Maolin selected a supremely fun team of people to help them pull off their vision of their wedding, and to implement and execute their handcrafted design which included both community and private vows, a Lasso ceremony, a tea ceremony, a Farm to Table meal by Front Range Catering, silent disco by SoundDown Party. There was even a little Offbeat Bride team: Mariah was the Day of Coordinator of Details Details, and the ceremony and officiant was Maree of Married by Maree. 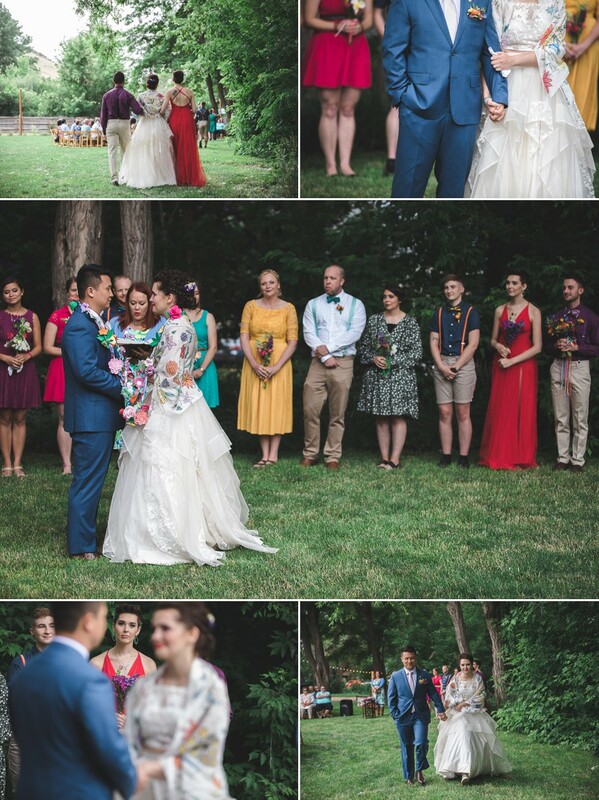 There were loads of other touches that were remarkable including the handmade Lasso, stained glass necklaces gifted to the wedding party, the rainbow touches throughout – including the handprinted silk scarf, the community signing of the marriage license, the AirStream where the VIPs gathered for pranks and private vows, I could go on and on… but, what I mean is this: The colorful collective of humans they surrounded themselves by were beautiful, and we are forever grateful to have been included in this day of celebration + love.